Beyond time together at the conference breakfast, lunch, morning and afternoon refreshment breaks and workshops, register to attend for a time to connect and meet fellow delegates, speakers and members of the New York business community. Spouses and guests are welcome. The registration site allows you to register more than one guest. More details are below. You do not have to attend the conference to register to attend the receptions. Space is limited*. Welcome Reception on Sunday April 28, 2019: Enjoy hors d'oeuvres and beverages from 5 to 7 PM at the New York Marriott East Side hotel. Space is limited to the first 100 registered. All must register in advance to attend the Sunday reception except those who are registered to attend either of the two workshops on Sunday April 28. There are no on site registrations. This is not a dinner. Monday Reception April 29, 2019: Join all after day one of the conference from 6 to 8 PM with guests from New York's investment and business community for delicious hors d'oeuvres and beverages at the New York Marriott East Side at 525 Lexington Ave. Spouses and guests are welcome. The Marriott's facilities are able to accommodate many. All must register in advance. More details are below. 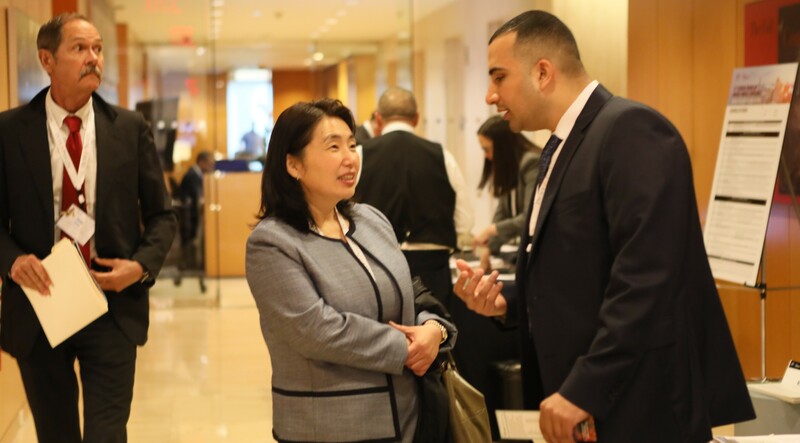 Tuesday Reception April 30, 2019: After day two of the conference attend a reception from 5:30 to 7:30 PM for a relaxing time with delegates, spouses and guests from New York's investment and banking community for delicious hors d'oeuvres and beverages at Shearman & Sterling. There will be a raffle of wonderful photos by photographer Laszlo Bencze again! Visit Laszlo's photos here. 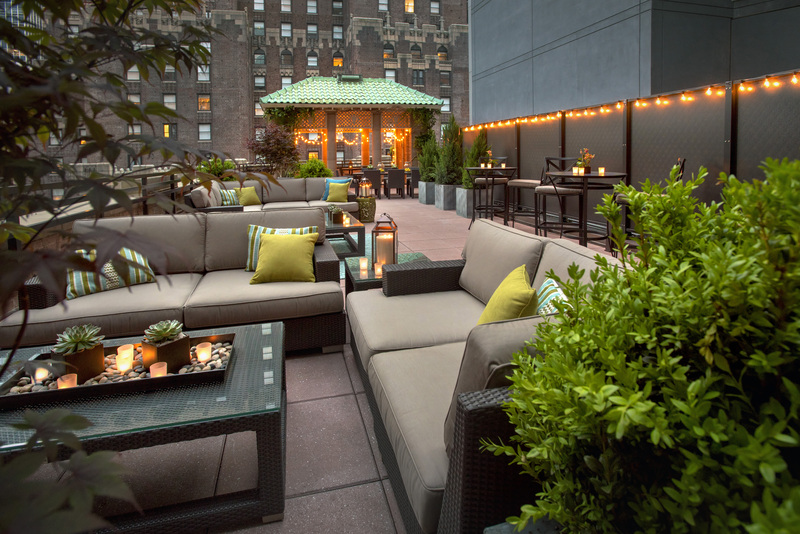 Join us on Sunday, April 28, 2019 from 5 to 7 PM: After two informative workshops from Noon to 4:30 PM register for a gathering to meet others at the New York Marriott East Side hotel on its roof top garden for beverages and snacks. This is not a dinner. Connect with all there (see photo below) before joining others for dinner elsewhere and the conference starting with a full breakfast at 7:30 AM the next day, Monday April 29 at Shearman & Sterling. Register to attend now. Space is limited to the first 100 registered to this reception. More details about the receptions on Monday and Tuesday are below. Below is site of Sunday Welcome reception. Register early. Space is limited to first 100 registered. Business casual attire. Reception on Monday, April 29, 2019 from 6 to 8 PM: After day one of the conference join all delegates, speakers and invited guests from New York's investment and business community for delicious hors d'oeuvres and beverages at the New York Marriott East Side Hotel at 525 Lexington Ave, at the corner of 49th St. Colleagues, clients, spouses and guests are welcome. Register today. You do not have to attend the conference to register for any of the three receptions. Registered conference delegates and speakers are registered to attend the Monday April 29 and Tuesday April 30 receptions. All must register to attend the reception on Sunday - except those who have registered to attend either of the two workshops on Sunday April 28 also at the New York Marriott East Side Hotel. Shown immediately below is one corner of the reception room we'll be in on Monday April 29 at the Marriott. 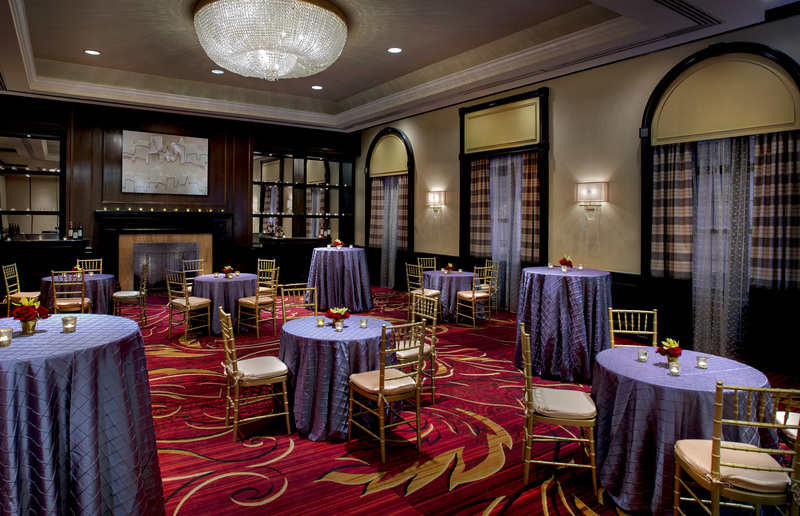 Reception on Tuesday, April 30, 2019 from 5:30 to 7:30 PM: Right after day two of the conference join and network with all during a relaxing time together, enjoying delicious snacks, hors d'oeuvres and beverages in Shearman & Sterling's conference facilities. Spouses and guests are welcome. You do not have to attend the conference to register to attend any of the receptions. Please register in advance. There are no walk ins. On Tuesday April 30th during the evening reception there will again be a raffle of wonderful photos by the photographer Laszlo Bencze. Visit Laszlo's photos here. Professional photographer Laszlo Bencze speaking about his inspiration and the importance photography has in branding his subject's image. Thanks Laszlo! We hope you join us at CTMF 2019! Throughout the events there is plenty of time and places to meet one-on-one during refreshment breaks, breakfasts, lunches or in the spacious and quiet meeting spaces in Shearman & Sterling's conference facilities. We hope to see you there! Register* today! Shown immediately below is a photo from a CTMF reception at Shearman & Sterling. Join us - Register in advance for each of the receptions today! * Space is limited. The organizers monitor registrations and may close registration early. Registration closed early before the event for CTMT 2018 and 2017. Here is the agenda. Join the sponsors. Content, speakers, order and times are subject to change.